The Grayson class repair tenders were designed to fill the need for full-time navigational beacon repair. The first assignments were well within Federation territory, and therefore the first models were unarmed. However, after several unpleasant encounters with pirates and marauders, it was decided to give them a weapon for defensive purposes. 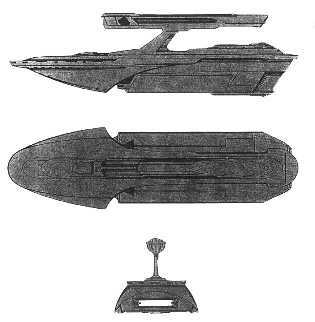 This light armament in no way makes the Grayson class ships combat vessels, but it allows for their use as patrol ships in their duty areas.